Our licensed estheticians specialize in safe, customized eyelash extensions. The Skin Health Medi-Spa technique is to tailor the perfect design to each individual eye shape. 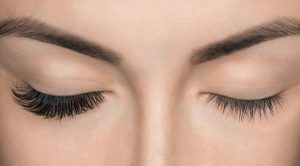 From our medspa and full service salon in Dover, we provide both classic lashes and multi-volume lash extensions using premium synthetic material. This material is curled to imitate a natural lash. These extensions provide a rich, full appearance that eliminates the need for mascara, giving you a no-fuss beauty routine. We also provide fills and extension maintenance services. To get started, give us a call at (603) 742-1980 or fill out our online request form. Using Nova Lashes medical grade patented eyelash glue. Lasts 4-6 weeks or up to 3 months with fills. We remove grown out lashes and add new eyelash extensions to all of your regrowth. Great for special occasions! Lasts 1-2 weeks. Lash extensions will last through a full growth cycle of your natural lashes, which is typically 6-8 weeks. Light maintenance may be needed every 3-4 weeks to maintain a full look. Do lash extensions ruin your natural eyelashes? No, extensions do not ruin your natural lashes. We apply them correctly and safely so that will not impact the health of your natural eyelashes. Make sure to avoid rubbing your eyes or pulling on your extensions, as this can cause lash loss or damage your natural lashes. 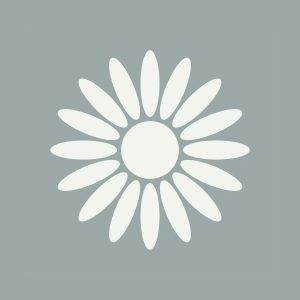 Can I wear mascara or other eye makeup with extensions? Yes, you can wear mascara if it’s water-based or specifically formulated for lash extensions. Oil-based or water-proof mascara can dissolve the bonding agent and shorten the life of your extensions. When applied safely, eyelash extensions do not hurt. Each lash is intricately placed one at a time on top of your natural lashes. If your extensions do hurt, it could mean that they are too long. How often should fills be done? Eyelash fills should be done every 3-4 weeks. Longer wait times may mean it will take longer to fill your lashes, as more lashes will need to be filled. What factors impact the need for fills? The number of fills you will need can depend on many different factors. What you do to care for your lashes, how much makeup you use, the kind of products your extensions are exposed to, excessive heat and water, and how you sleep can all impact your eyelash extensions. We will advise you on how to take the best care of your lashes.